Every once in a while I sit back and revel at how lucky in life I am. Thanksgiving often gives me inspiration to reflect back on my year to indeed, give thanks, and this year I once again have so much to be thankful for. I'm extraordinarily thankful for the family who surrounds me with love, for Liv's smiling face each morning the moment she wakes, for my son who is getting old enough to take care of me on occasion, for my husband who works hard to keep us happy, for my parents who are always so supportive, for my Father in Law whom I've grown to know so much better this past year, and for all of our continued health. In addition, I'm so thankful for my Food Blogging community where I've come to know a talented group of people who continually brighten my day, for the ultra supportive ladies in my Inspired Plate Photography Group, and or my fellow crazy Dance Moms. I'm thankful to the vet who saved our pups life when he ate dark chocolate. I'm thankful to the server in Rome who brought the most wonderful pasta and wine. And last but not least, I'm thankful to Roxana, of Roxana's Home Baking, for picking us as one of her winners in her Red Star Platinum Yeast Giveaway. I don't win things very often, and when Roxana's email notifying us that we had won her giveaway arrived, Liv and I set right to work deciding what we would bake. A long time bread baker, I understand the frustrations of working with yeast. While I usually have success, on occasion I have been known to produce loaves akin to hockey pucks, loaves that make wonderful door stops, and loaves that would most likely sink like rocks if dropped into water. Years of practice has thankfully made these occasions few and far between, but every once in a while a little extra lift is appreciated (in more places than one... but we'll keep this post on the topic of bread...). 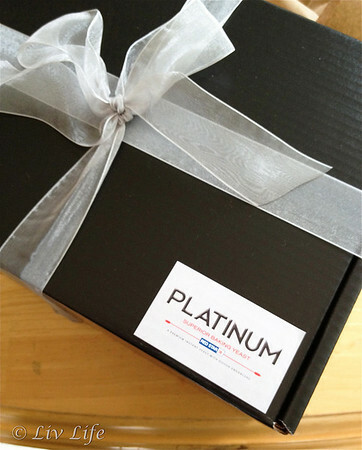 Receiving a beautiful bow tied gift box with the Platinum label prominently affixed to the outside, our first use fell to one of our favorite holiday breads. 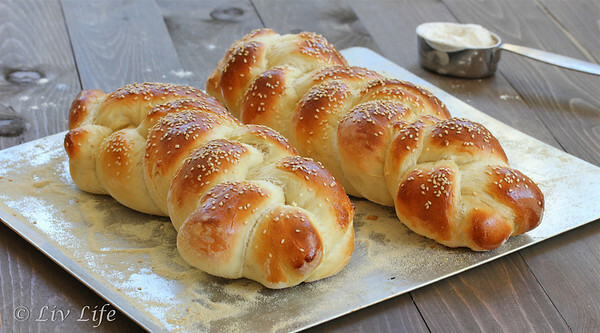 A traditional Bread Braid, the bread tends to be a bit fussy since we have altered the ingredients to make it dairy free. Occasionally becoming a bit heavy, the beautiful loaf has failed me a time or two (or perhaps my kneading technique failed it...), but being that it is my son's all time favorite holiday food, the loaf graces every holiday table we host. After Roxana's high praises of the yeast along with a comment of, "Kim, you are going to love it!" I couldn't wait to get kneading, and everything she said in her posts was right. According to Red Star the yeast contains dough enhancers, "This simple-to-use yeast strengthens and improves your dough, increasing oven spring and finished volume of any recipe." While I've only tried the yeast with this one loaf, Roxana spent days trying bread recipe after recipe and her results had me excited. Citing slightly quicker rise times along with greater loaf volume, I maintained high hopes as our day proved chilly, and with no heat on in the house I worried that the bread would not rise well, but it did. 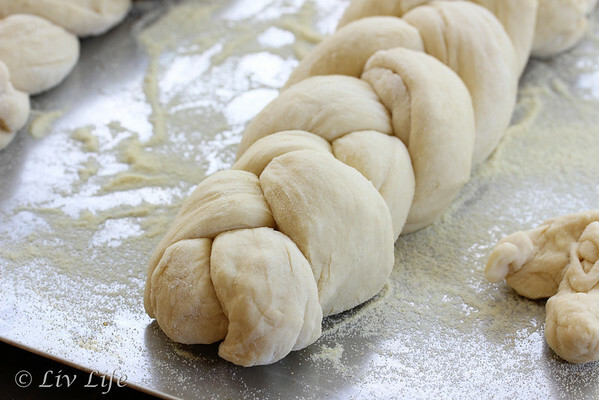 Once in the oven, the words "oven spring" gave full meaning as I peeked in after 10 minutes to behold a beautifully shaped loaf puffing over the confines of its braid. Some 10 minutes later, pulling two perfectly golden loaves from the oven I reined in every bit of strength in me to resist ripping a crusty end piece off one end, purely for tasting purposes, of course. Snapping a pic instead, I immediately sent it off to my son who quickly responded from class, "Don't eat all the bread before I get home! ", and I set out for my rounds of school pick up. With a soft texture and plenty of flavor, I think I need to add that I'm also thankful for irresistible holiday bread. 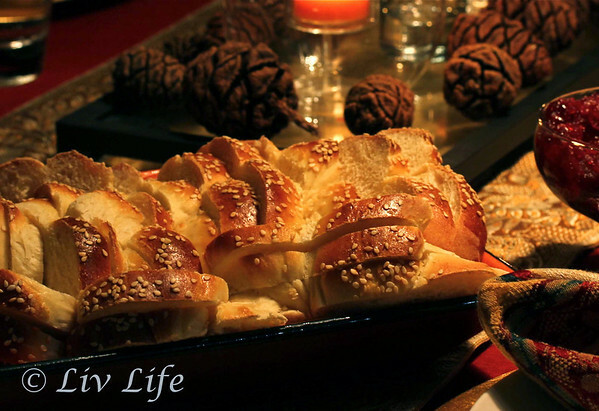 Soft on the inside, this flavorful bread has been a favorite on our holiday table for over 10 years. The crust gives a slight crunch, especially when toasted, and is nearly impossible to resist. Perfect simply spread with butter, the bread also works itself beautifully into a lovely French Toast breakfast. In the bowl of a stand mixer dissolve the yeast in the warm water. Add the milk, butter, sugar, salt, 2 eggs and 1 cup of flour. Beat until smooth. Switching to bread hook, add flour one cup at a time, and then in smaller amounts as the dough comes together, beat in enough of the flour to form a soft dough that cleans the sides of the bowl as it kneads. Allow the dough to knead on the bread hook for about 6 minutes, or until smooth and elastic. Place the dough into a greased bowl and cover. Place in a warm spot until dough has doubled, about 1 hour. Punch dough down and turn out onto a floured surface. Dust a cooking sheet liberally with semolina flour, or alternatively spray with cooking spray. Divide dough in half, then divide each half portion into thirds. Shape each piece into 12 inch long ropes. Lay the three ropes side by side and gather the tops, pinching the ends to seal and braid the ropes. Pinch the other end to seal and carefully move to a semolina floured baking sheet. Tuck the ends under. Repeat with the remaining 3 ropes. Cover with a towel and let rise until doubled, about 30-40 minutes. Beat egg white with 1 Tbs water and brush over the braids. Sprinkle with golden sesame seeds. Bake for 18-25 minutes (checking at about 18 minutes) or until golden brown and hollow sounding when tapped. Remove from oven and cool on wire racks. Or dive right in and slice and butter!!! *Liv Life Note: for a richer loaf use whole milk, increase butter to 1/4 cup, sugar to 1/4 cup and use 3 eggs in the dough! Additionally, you will need to add a bit more flour. Wow...this bread is GORGEOUS!!!! I would have two slices...one for each hand...with some butter! Well, congrats on winning the bread! That's fantastic. You definitely put it to good use. I'm amazed at the restraint you showed in not diving into at least one loaf before doing your rounds. Wow. You know, that bottom photo is so striking. I don't think I see you do photos with those darker, warmer colors very often. That one really pulls at me a lot. What a lovely reflection Kim! Thanks for sharing with all of us. Also, this bread looks outstanding. I want to double fist, then use any leftovers (unlikely) to make fabulous French toast! That bread is so incredibly fetching! It wouldn't last long around here, I can promise you! I am picturing myself with one of those loaves in my hands as I'm eating it like a caveman! YUM! 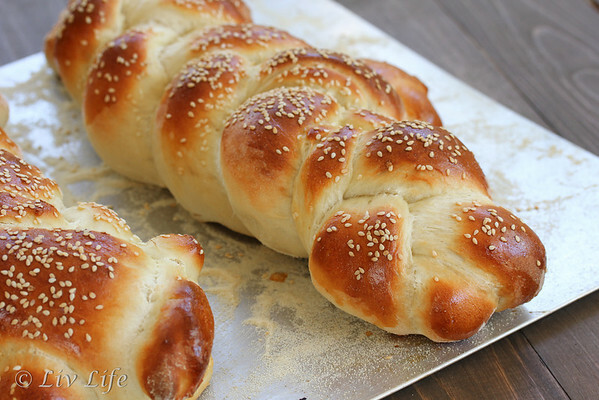 Holiday Bread Braid This is such a perfect bread for Thanksgiving! And totally unique love it! Thank you so much for this recipe!